Buying a new domain name might seem like the quickest and easiest part of launching your business online. But that’s where it can get dangerous — because your domain name is like your street address; actually, it’s more than that — it’s the deed to the property. If you lose control of it, you lose control of your entire online business, which can be a disaster. So don’t skip on the domain name step. Okay, then how to register a domain name you ask? I’ll take you through all the steps involved in securing your domain name, from finding if it’s available, researching the best alternatives if it’s not, buying it from a reliable vendor and managing it down the road. I’ll help you avoid nightmare scenarios where you lose control of your domain name, or even worse, a competitor snags it, and your sales go to zero overnight. With a little preparation, it’s easy to avoid these pitfalls. I’m also prepared to answer any questions you have along the way. This is probably the biggest mistake people make. Joe, owner of “Joe’s Blue Widgets,” says he doesn’t have time to spend on his website, he just wants to get it up and running so he can get back to selling blue widgets. He does a quick search for JoesBlueWidgets.com. Oh darn — it’s not available. Wait, you say – how to find if a domain is available? You can check domain availability by opening up our recommended registrar, Namecheap (it will open in a new window so you can conduct searches while you continue reading). But look, the registrar happily announces that Joes-Blue.widgets is, and at a 50% discount! Done deal says Joe — let’s get this site up and running so I can get back to selling widgets. That may be less painful if you are selling your blue widgets primarily through retail, vs online. But you’ll want to toss your widgets out the window if a competitor nabs up JoesBlueWidgets.com and redirects it to SueHasBetterWidgetsThanJoe.com, “stealing” all of Joe’s precious marketing dollars that were supposed to send demanding widget customers into Joe’s store. So how to buy a domain name? 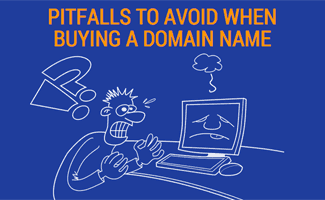 Don’t be Joe; learn about the power of .com and how to choose a domain name to avoid this pitfall. Got you covered! I get these questions all the time. Say JoesBlueWidgets.com was not available but Joes-Blue-Widget.com is — is it worth buying a domain name with hyphens? Find out in my article is it okay if my domain name has hyphens? Okay, you say, what about keywords? Is there an SEO advantage to having keywords from your industry in your domain name? I.e. why settle for JoesBlueWidgets.com when you could have WhichBlueWidgetIsBestInTheWorld.com? Once again, gotcha covered. Head on over to are keywords in my domain name important? You’ve got a short-list of domain names; now the next step is to make sure they’re available for registration. Believe it or not, here you need to be careful as well, because some unscrupulous domain companies have been known to pre-register your searches and then attempt to sell them back to you at a higher cost. How do they do this? 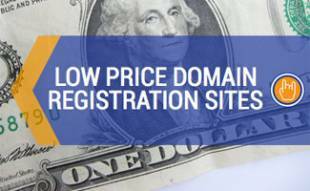 Registrars can “hold” domain names for a few days without paying the full registration fee. Needless to say, it’s important that you pick a domain registrar that is reliable and trustworthy from start (registration) to finish (renewals and ongoing management). So how to purchase a domain name without running into these traps? 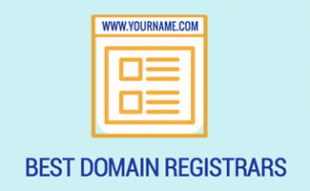 We recommend Namecheap; check out our comprehensive review on the best domain registrars for our opinion, or use this guide on finding a reliable domain registrar to go out and discover your own. We even have a list of the least expensive registrars, but remember — you get what you pay for. What If I’m Transferring My Domain Over? Let’s say by reading this you’ve decided your existing domain registrar is not all that, and you’d like to transfer your name over to one of our recommended providers. Transferring in is never an issue (because registrars want your business), however transferring out can be a huge hassle, especially with some of the less reputable providers out there. The good news is I’ve got an article that gives you a step-by-step guide to transferring your domain from one registrar to another. Admin email address and phone number – this should be an email and phone that you’ll always have access to — if you ever lose track of or need to recover your domain registration, this is how the registrar will try and contact you. In other words, don’t create a Gmail address just for the purpose of registering your domain name and then forget about it. If you’re worried about getting spammed, read the next tip. 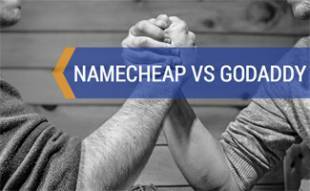 Protect your registration (whois) data – If you registered with Namecheap, you should receive a free year of WhoisGuard, which basically privatizes your registration, or whois data, so it can’t be harvested by unscrupulous scammers or telemarketers. Most registrars should include whois protection either for free or for a nominal fee with your domain registration. Note that some domain name extensions, like .us (local United States extension) can’t be protected. Another reason to go with a primary extension like .com. Don’t lose your registrar login – keep track of where you registered your domain name, and your login details. Given the sensitive nature of this login (someone with access to your domain account can effectively shut you down), it’s best to have a secure login (we recommend LastPass to manage your passwords), and setup multi-factor or two-factor (also known as 2FA) for your access. This essentially means someone can’t get into your account with just your email and password, they’ll need to confirm their identity via cell phone call, text or a similar “second factor” of authentication. Aside from someone gaining control of your domain name without your permission, this is the worst case scenario. Once your domain name expires, you are S.O.L. The good news is it’s super easy to avoid this disastrous situation — just set your domain name on auto-renew. Almost every registrar will allow you to do this. And as long as you followed step 3) above, you’ll be notified if either the auto-renew failed, if your names are coming up for renewal or anything else important regarding your domain registration. What if my name expired? Okay so for whatever reason (maybe you didn’t have access to this amazing article at the time), your name expired and you are freaking out. All may not be lost! Read my article My Domain Name Expired, Can I Get it Back? to find out if there’s still hope. Once you’ve taken the various defensive measures above, you’ll want to secure your brand name. I typically recommend, if you’ve registered .com, also registering .net and .org, and redirecting them to your .com site. If for whatever reason (and there are good ones, as you saw in my hyphenated domains article) your domain includes a hyphen, you’ll want to also register the unhyphenated version if possible, since people tend to forget to include the hyphen. You’ll also want to defend against typosquatting. What’s a “typosquatter” you ask? Someone that registers very similar names to yours in an attempt to steal your traffic. For example, if you have JoesBlueWidgets.com, the typosquatter might try and register JoesBlueWidget.com, that way if anyone forgets the “s”, they get the visitor instead of you. Now that your site is up and rocking, the last thing you want is an unscrupulous competitor or scammer finding ways to “steal” your hard-earned traffic. Check out this article I wrote on defending against typosquatters. Want more tips or prefer to just watch a video? Check out this video from 123 Reg that gives 6 things to avoid when naming a business and buying a domain name. If you’ve got additional questions on how to get a domain name that fits the bill, don’t hesitate to ask me in the comments. And we’ve written an entire series on creating your website, SEO, monetization strategies and more. Check it out in our acclaimed how to create a website series. Who’s Your Favorite Domain Name Registrar?